Last weekend, we opened our International Series 2018-19 Season with celebrated guitarist Ana Vidovic. While audience members enjoyed an art display and refreshments in the lobby, a small group of people gathered in the Black Box Theater. They were students, teachers, and mothers from the city of Reynosa Tamaulipas, Mexico, and they had driven more than five hours from the US-Mexico border to perform for Ana Vidovic. The students - one only six years old, his legs dangling off the chair as he held a half-size guitar - each played short solos while their mothers watched proudly. Ana listened to each one and gave thoughtful feedback, the students nodding with wide eyes at their teacher’s translation of her words into Spanish. A few years ago, the possibility of such an opportunity for these children would have been unthinkable. According to their teacher, Mario Quintanilla Saucedo, the city of Reynosa Tamaulipas has become increasingly troubled with violence in recent years, and there's no clear end in sight. “It’s practically unsafe to go into streets and live a normal life. Children 9 to 14 years old are enlisted in the most dangerous criminal gangs, carrying assault rifles instead of musical instruments,” Mario told us. Mindful of the deteriorating role of culture in their city, a small group of music-lovers began searching for a guitar teacher for their children. They came upon one in the city of Monterrey Nuevo León, 140 miles from Reynosa. 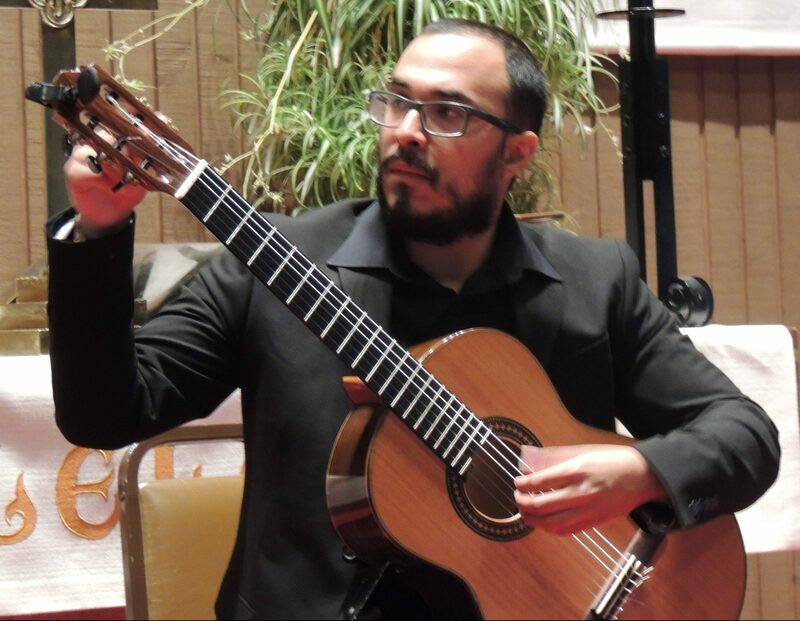 Mario Quintanilla Saucedo has studied with distinguished masters of international stature - including Ana Vidovic - and placed in national guitar competitions across Mexico. After almost a year of bringing a student to study with Mario in Monterrey once a week, the plan changed: every weekend, Mario would drive the three hours to Reynosa Tamaulipas. Now, he has a whole studio of students between the ages of 4 and 53. When Mario heard that Ana Vidovic was coming to Austin, he contacted her to ask if his students could play before the concert. He wanted to show them a world of hope, opportunity, and the possibility of life in the arts. "Keep your strength," she told one of the students after he'd played. "Mantén tu fuerza." “This trip to Austin showed that we are doing the right thing by helping children grow up in an environment of music instead of one concerned with terror and violence," Mario wrote to us after the concert. They aspire to follow the model of ACG Education. “Our project is small and has a limited budget, but we believe it will grow. We will hopefully see our progress reflected in disciplined young people with artistic training who someday could be in high spheres of the classical guitar world." 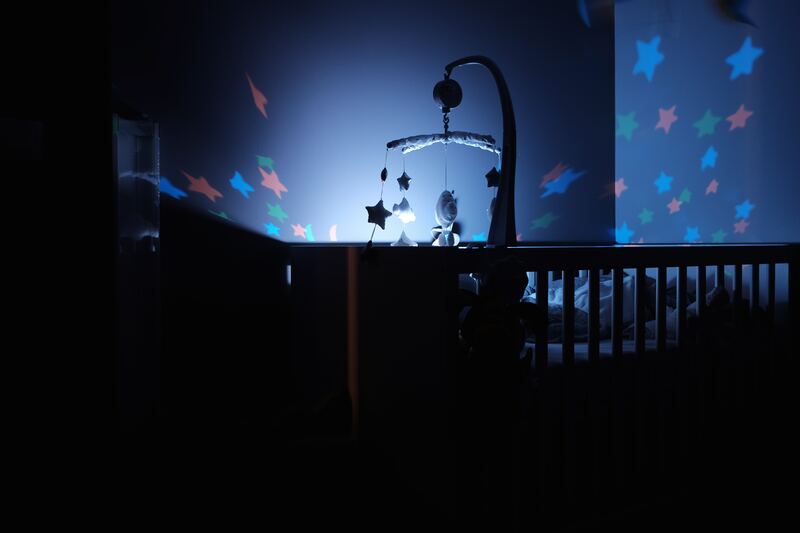 Since 2012, our Lullaby Project has paired ACG artist-clinicians with mothers in challenging circumstances. Together, they talk about the mother's hopes, fears, and musical inspirations, then create and record a personal song for her baby. The mother then has a lullaby entirely of her own that she and her child can listen to for years to come. A few months ago, I was fortunate enough to attend the recording session of one mother's lullaby: "Bright Eyes." The woman is Kheira, mother of Jennings Dean. Jennings has spent the first 130 days of his life in the neonatal intensive care Unit of St. David’s Medical Center. He was born several months premature, weighing only one pound at birth. Kheira’s phone, propped up to be the center of attention while recording, displays a recent photo of Jennings: a healthy, plump tot wearing huge, goofy glasses - it was costume day - and a Yoda onesie that says “Too Cute I Am”. This picture would have been impossible to imagine a few months ago. Kheira is recording a lullaby she’s written with the calm guidance of Arnold Yzaguirre, one of Austin Classical Guitar's Lullaby Project clinicians. They’ve already met a few times in the past month to talk about the melody, lyrics, and message of her lullaby. Music has always been present in baby Jennings’ life. Dismayed at having to leave him alone in the NICU every night, Kheira persuaded the nurses to play Pandora in his room. Some mothers in the Lullaby Project choose to have someone else record their lullaby, but Kheira wanted to sing it herself. Her voice radiates with gentle, soothing strength. She tells Jennings of the uncertainty at the beginning of his life, and the fearless resilience she saw in his bright eyes. Her words reflect his light from within during the dark time, and encourage him to Be kind. Be brave. Be unafraid. Always remember you’re a part of my soul … If you ever forget how much you are loved, just listen to your song. 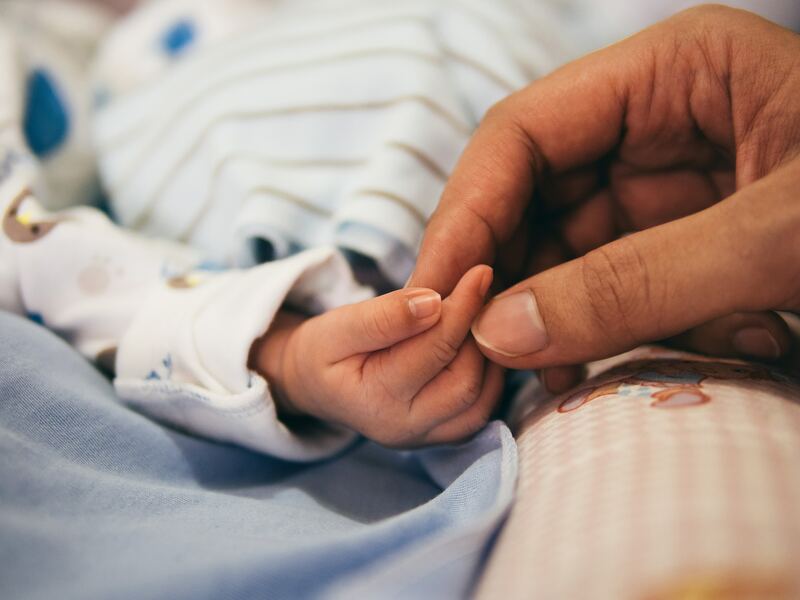 “Before I started working on the lullaby,” Kheira said, “I hadn’t been thinking about what I wanted to say to him outside the hospital, because I hadn’t even thought about the future. 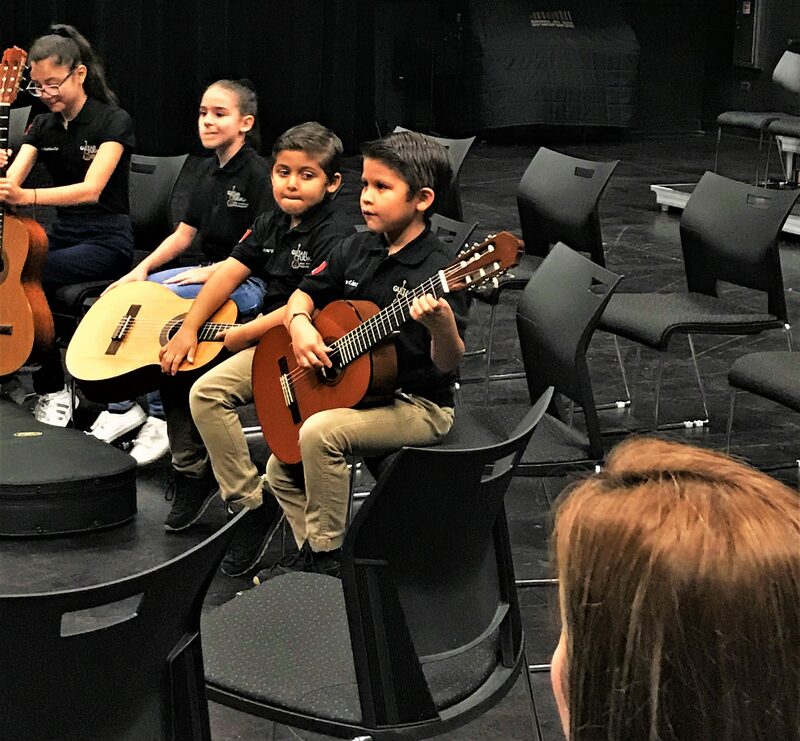 Fourteen years ago, Austin Classical Guitar recognized the need for an improved system of school-based guitar education comparable to established programs in choir, orchestra, and band. Three years later, we launched GuitarCurriculum.com. Now used internationally by hundreds of teachers serving tens of thousands of students, "GC.com" is a comprehensive teacher resource that includes a searchable library of original, pedagogically-sequenced ensemble literature, sight reading, and audio and video tutorials, all espousing a powerful core educational philosophy of “expressive, beautiful music-making from the very first day." We've been talking to teachers around the country - and the world - about how they use our curriculum, and wanted to share Jane's story with you. The following is the third installment of our three-part series. 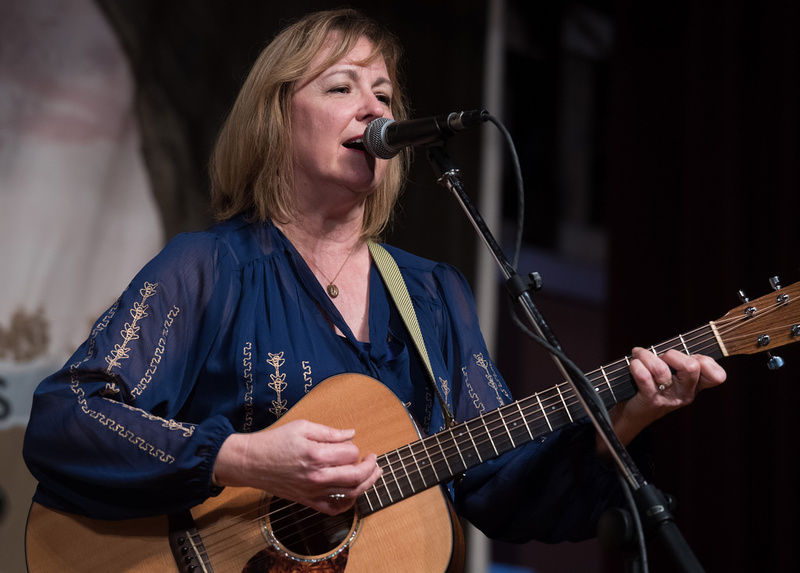 She’s written arrangements of many Cajun and Creole tunes, and has a rotating set of projects that emphasize cultural aspects of Louisiana heritage. Through scavenger hunts, biographies, and live performances of instruments and music genres from around the world, Jane integrates her folklore background into the classroom. She also has a “Family Jam Night” at the end of the year. She asks her students to interview a family member who plays music, and then hosts an inter-generational jam night. She’s encountered grandmas and grandpas who play everything from rock and classical to Cajun accordion. "When you’re in the trench, you think it’s just class, but then later, you find out it’s not. I’ve had students get full music scholarships to college, students who go into music business, and kids that have CDs out, traveling bands, all kinds of stuff. It’s really cool. We live in a very creative hub here that really encourages that, and I’m glad to be making this particular contribution to the effort." "When I find out I’ve sparked creativity and direction in some student’s life, wow. That’s just amazing." "It took a while to come back to me, but now my students are succeeding as young adults in music. I’ve put between 1500-2000 students out into the world. When you do that, you feel like you just launch them out there. But certain students have really taken on the guitar and music as their life." We've been talking to teachers around the country - and the world - about how they use our curriculum, and wanted to share Jane's story with you. The following is the second installment of our three-part series. Over the past twenty years, Jane Vidrine has built a guitar program up from nothing at the LJ Alleman Fine Arts Magnet Academy. She now teaches about a hundred 5th-8th graders in seven classes a day. For years, she was the only classroom guitar teacher in all of Lafayette. She found GuitarCurriculum.com after searching for ensemble music, and six years ago, she attended Austin Classical Guitar’s first Summer Teacher Training Workshop. She uses the Curriculum primarily for the repertoire, finding the division of levels within music to be the most helpful. “Even in an advanced piece, there will be some part for your student who’s more challenged. I think the thought process behind the pedagogy is just outstanding, it’s so solid." "GuitarCurriculum.com represents for teachers what we see in front of us everyday: students from all levels, and all kinds of challenges." She's faced a number of unique challenges in the classroom. Until last year, her school ran the hearing impaired program of her parish, and this year, it's home to students on the autism spectrum. She’s also taught several students with visual impairments. Jane has taken an innovative approach to building her program. 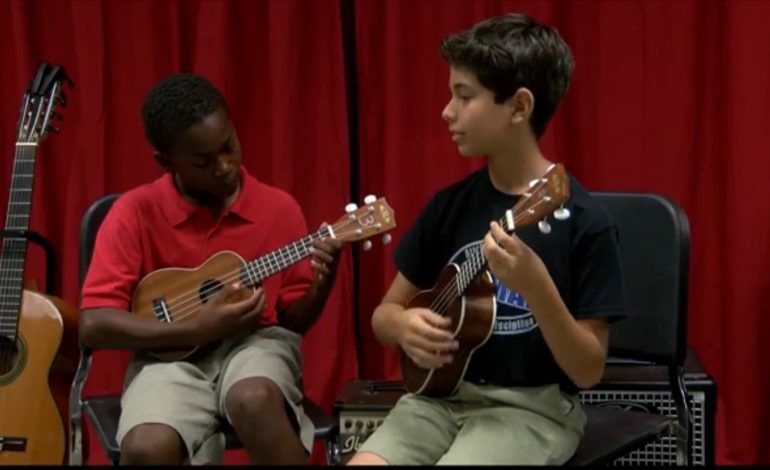 To create a pipeline from elementary school music classes into her middle school guitar programs, she developed and wrote a grant for a ukulele program called “The Ukulele Suitcase.” She has about three dozen ukuleles which she loans to teachers, and offers annual training workshops for elementary music educators. The idea behind starting with ukulele is that tiny fingers can negotiate the smaller instrument more easily, which builds basic skills that are then transferable to guitar. 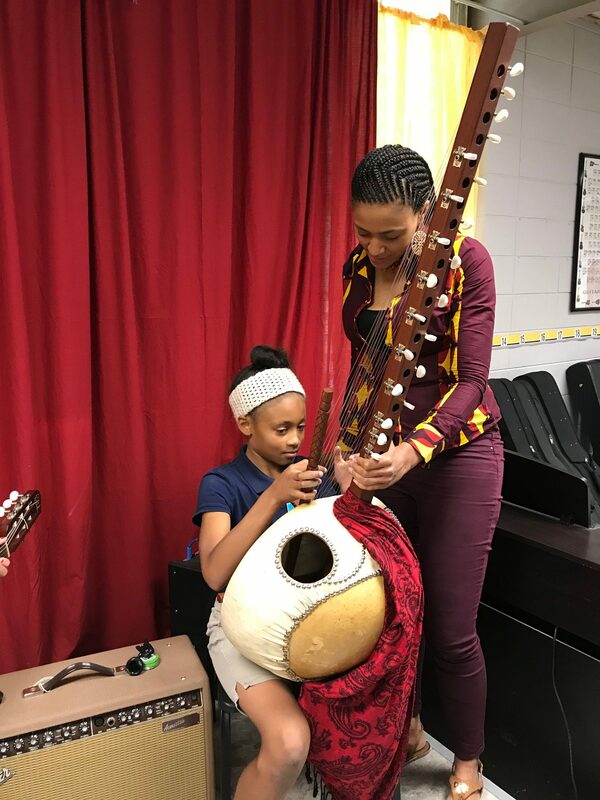 Although high schools in Lafayette didn't have guitar years ago, so many of her students were entering the high schools that parents demanded they offer guitar classes. 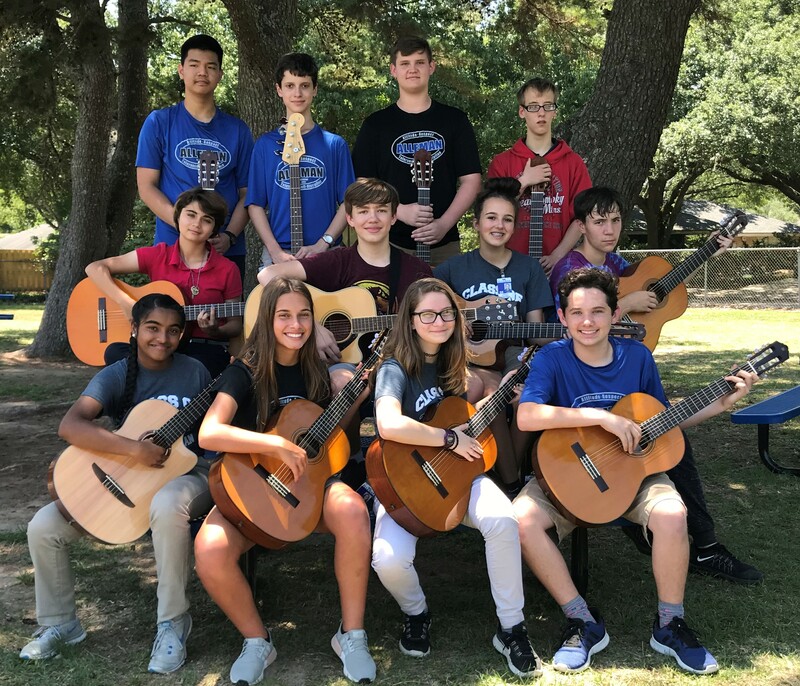 The Lafayette Magnet Arts Academy guitar program, a direct stem from her alumni, has enjoyed a particularly close relationship with Jane's middle school. "It's building by itself, not because of anything I personally have done, but because students coming out of my program ask for the class, and other schools see how successful my program is. It’s more a supply and demand thing." "Austin’s program is sort of our dream." We've been talking to teachers around the country - and the world - about how they use our curriculum, and wanted to share Jane's story with you. The following is the first installment of our three-part series. Originally a museum curator and folklorist in St. Louis, Jane Vidrine is a guitar teacher and musician in Lafayette, Louisiana. 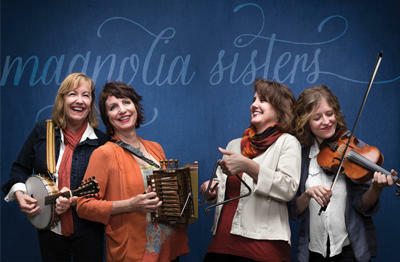 A few years ago she was named the Lafayette Education Foundation's "Teacher of the Year," and she's part of a two-time Grammy-nominated, all-female Cajun and Creole band called the Magnolia Sisters. Jane traveled to Louisiana after her friend, Nick Spitzer of NPR’s “American Routes,” enlisted her help with the Louisiana Folklife Pavilion at the New Orleans 1984 World’s Fair. She’s been in Lafayette - the "Hub City" and the state's center of Creole culture - ever since. After moving to Louisiana, she continued to do cultural programming and museum curation for a while, but turned her attention toward education when she and her husband had two children. “It was the beginning of the French immersion program at their school, and here we were in the heart of Cajun and Creole music, and they weren’t teaching music in French,” Jane said. For our ACG Fall Fund Drive, we're sharing stories on our Changing Lives Storyboard of ways music has changed our world, and how our community helped make it happen. Consider supporting ACG today! "I started guitar by coincidence sophomore year because my school counselor just put me in guitar class. I knew nothing about it. We started with guitar one: basics of how to sit and how to read music. And now I’m in the guitar 4 class, the varsity, which is a guitar quartet that competes in music contests. My school's population is 98% Mexican, but the majority speaks English. My guitar teacher knows both English and Spanish, so if students don’t understand something he can say it in Spanish. My whole family has a history of music: my dad played in a band in the 80's and 90's, my older brother is a high school band director, my middle brother played in band in middle and high school, and my youngest brother was in an Estudiantina, a traditional Cuban guitar and singing group. I found out about ACG because my teacher intended for my quartet to go to ACG Fest, but my school didn’t have enough funds. That’s when I started looking at y’alls website, reading about all you do and the concerts y'all host. I love the organization because I feel like not many kids, especially younger kids, realize what classical guitar is. When people say "classical guitar", they probably imagine an electric one. The fact that you bring classical guitar to young kids is really inspiring. I love the guitar because it's so versatile. It can be played very forcefully or delicately. You can play ponticello or dolce. And music can be arranged so well for the instrument, ranging from piano pieces to modern pop pieces. The repertoire for guitar is the absolute best! I definitely plan to pursue a career in guitar performance. I know people say that music degrees and careers are very risky, and even my teachers ask if I have support from my family. But my family all supports me. I’ve applied to the Butler School of Music, University of Texas - Austin, and I plan to apply to two more schools as well." Matt's story reaffirms our belief that no one should be barred from attending or participating in any ACG event because of the cost. If you'd like to be involved in helping kids like Matt take full advantage of the opportunities we provide, contact us at info@austinclassicalguitar.org. We came to know Francisco De La Rosa in 2009 when he joined the guitar class at Akins High School and began working with ACG’s Assistant Director of Education, Jeremy Osborne. We’re proud to count Francisco, who's currently a Music Performance major at Texas State University, as one of our alumni. He recently sat down with us to talk about his love for music, and what motivates him to continue playing. How did you start learning guitar, and what were your early experiences with Austin Classical Guitar? I started classical guitar my freshman year at Akins High School. Before that, I was self-taught and had never been exposed to classical music. I still remember the first time I heard a Bach cello suite on guitar. It was unbelievable. At Akins, guitar was more than just a class - it was a second family. And Mr. Osborne was like an older brother, a role model. High school can be a stressful time, but guitar class was my comfort zone. Everyone was friendly, and there was no judgement. We worked as a team. I remember that I needed to improve my grades to participate in guitar competitions, and Mr. Osborne helped me study until my GPA was good enough. Before that, I didn’t have to worry about grades, and could just play guitar. He helped me become a better student. When I talk, I can’t always find the right words, but when I play guitar, I can express exactly how I’m feeling. What has it been like studying guitar in college? I received a scholarship from ACG to attend Austin Community College. After that, I reached out to Mr. Osborne for some help preparing for my audition for Texas State’s classical guitar program. I’m proud to say I just finished my second year there, and I'm working toward my Bachelor's in Music Performance. It hasn't always been easy, but ACG helped me discover my passion and go further with guitar than I ever thought I could. Music completes life for me. It allows me to express who I truly am. When I’m playing guitar, it's like I’m transferred to a different world. Music is a magical feeling. I step outside my consciousness. When I talk, I can’t always find the right words, but when I play guitar, I can express exactly how I’m feeling. In the future, I want to continue performing and composing, but my biggest dream is to become a teacher. I want to follow in the the footsteps of Mark Cruz, Jeremy Osborne, and Travis Marcum. They all showed me how music can help to achieve my dreams, and I want to share that with others. In partnership with Austin Independent School District and Travis County, ACG developed the only for-credit arts class offered to young people incarcerated at the Gardner Betts Juvenile Justice Center. Now in its eighth year, the impact of these classes has drawn national attention, including coverage on PBS NewsHour and a feature story in Teen Vogue. Most recently, the Travis County Juvenile Probation Department has asked that ACG expand this program to begin serving Austin students who are currently on probation. Below is a reflection from Kerry Price, an ACG board member, who recently attended a performance of students at Gardner Betts. Last Sunday, May 6, I had the opportunity to attend a guitar performance by five students at Gardner Betts Juvenile Justice Center. In the courtroom, each student played one or two solo pieces in front of the judge's podium to an audience of family members, friends, teachers, and ACG Board members and staff. While the regular use of this room is anything but festive, on this particular afternoon we were there for an accomplishment: young students' hard work to prepare for the daunting task of performing alone. I was very moved to hear a student play the same Villa-Lobos Prelude which, forty years ago, was the first piece of classical guitar music I'd ever heard. It was the same piece that began my own journey with the guitar and brought so much joy to my own life. What really made my day was seeing the piece performed on a guitar that I once owned - I'd given it to ACG so that maybe someone could use it. That my old guitar was used on this day, and that I had an opportunity to hear and see a student playing Villa-Lobos on it, was icing on the cake. 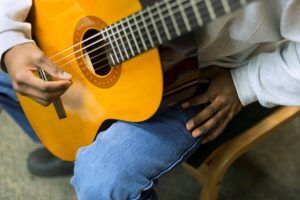 If you are inspired by Austin Classical Guitar’s work with young people in the Juvenile Justice System, please consider making a donation to support this work today. We first met Javier Saucedo during his junior year at Akins High School. He had always loved guitar, but never had a teacher or an opportunity to perform. That all changed when he saw a flyer about a new guitar class at Akins. Javier told us, "I couldn’t believe I could actually play guitar during the school day and receive credit for it!" That first semester the class was small, but Javier felt right at home with the other guitar students, and the experience of rehearsing and performing together made them all close friends. "Guitar was a place for me to put my energy and emotions. It gave me a constructive activity to be a part of. I always had a guitar by my side or in my hands. It became a part of my identity and motivated me to work hard in school and at home." 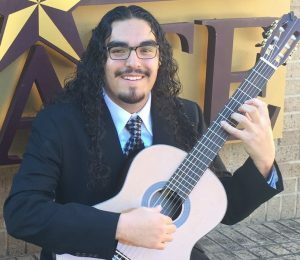 Javier remained committed to guitar throughout high school, and was awarded a full scholarship to study classical guitar at Austin Community College. Eventually, he transferred to Texas State University, where he earned his Bachelor of Music degree this past fall. Mr. Osborne stayed in touch with Javier over the years, and attended his senior recital this past November. Impressed with his maturity and musicianship, Mr. Osborne began mentoring Javier once again. But this time, instead of helping Javier with his guitar playing, Mr. Osborne began showing him how to be an effective and inspiring guitar teacher. In January, Javier became an instructor with ACG's Free Lessons Initiative, which provides weekly private guitar lessons to students with financial need. He’s now teaching at Paredes and Mendez Middle Schools, as well as Akins High School, working with students in the very same classroom he himself was in only five years ago. "I’m thankful to ACG not only for helping me when I was in high school, but for their support through college, and now for helping me to get my teaching career started. I'm so thankful for the opportunity to give back to my community and to the program that helped make me the musician I am today. I love being able to work with students who are in the same place I was not too long ago. 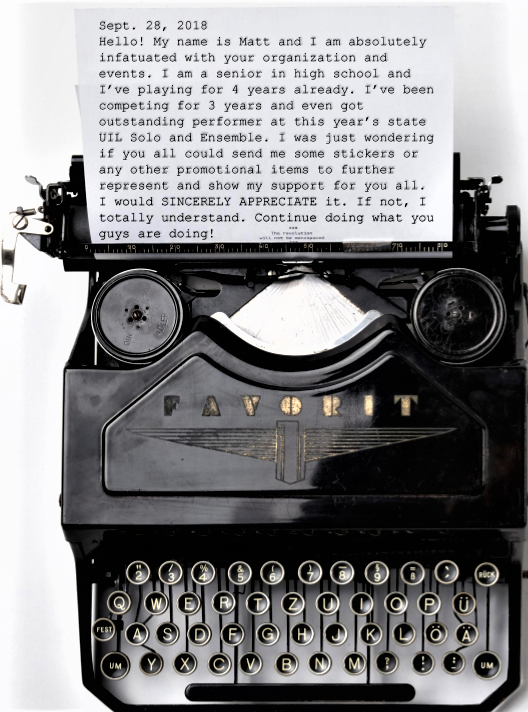 I’m even helping some of them get ready for college auditions. The cycle continues – I had great teachers in high school who helped me, and now I get to do the same for others." In 2010, in partnership with Austin Independent School District and Travis County, ACG developed the only for-credit arts class offered to young people incarcerated at the Gardner Betts Juvenile Justice Center. The impact of these classes has drawn national attention, including coverage on PBS NewsHour. Most recently, the Travis County Juvenile Probation Department has asked that ACG expand this program to begin serving Austin students who are currently on probation. My mom cried she was so happy after my first guitar concert. I hadn’t even told her that I was learning to play. For that first performance, I just told her to come to the courthouse, that there was something going on and she needed to be there. When she showed up and there was a concert, and I played, she was amazed, and just kept crying. I already finished my fine arts credit, but I decided to stay in guitar. I just like it. It keeps me busy, keeps me out of trouble and makes me feel grounded. It calms me down when I’m feeling angry or upset, for real. When I start playing, my mind slows down and pretty soon I’m lost in the music and everything else goes away, like blurs, and it’s just me playing guitar. Guitar is just interesting. I’ve even learned how to figure out songs by ear. I used to bring in a recording of a song I wanted to learn and Mr. Osborne would start showing me how to play it. One day he told me to try and figure it out myself. I didn’t think I would be able to do it, but I started trying. At first I couldn’t do anything, so Mr. Osborne showed me the first note. Then I got it, one note here and there until I had the whole thing. If I got stuck or something, he would help, but other than that, I figured it out myself. You practice to get better, you make a little progress, but you can’t really see it happening in a big way. Then one day you’re able to play this crazy piece. When I’m about to perform, I don’t worry about messing up, I just worry about playing. I close my eyes, and just focus on the music. When I sit down to play my hands always shake, but you just gotta play, get in your zone. The audience might not like it, they don’t have to like it, as long as you like it, that’s what matters.